With World War II rationing already underway in 1942 to save metal and other necessary materials for the war effort, the U.S. Treasury had removed nickel from the five-cent coin for the nation’s artillery needs. The Lincoln cent, however, wouldn’t undergo a temporary, war-related metal composition change until the following year. In that respect, production of 1942 Lincoln Wheat Penny coins continued as normal, with nearly 1 billion Lincoln Pennies were minted; 657,796,000 at the Philadelphia Mint (no mintmark); 206,698,000 at the Denver Mint (mintmark: D); and 85,590,000 at the San Francisco Mint (mintmark: S). Given such high production figures, the 1942 Lincoln Penny is by no means a scarce coin – plenty exist in virtually all grades to provide Lincoln Penny collectors their fill, and for a price that is highly affordable for most numismatists. 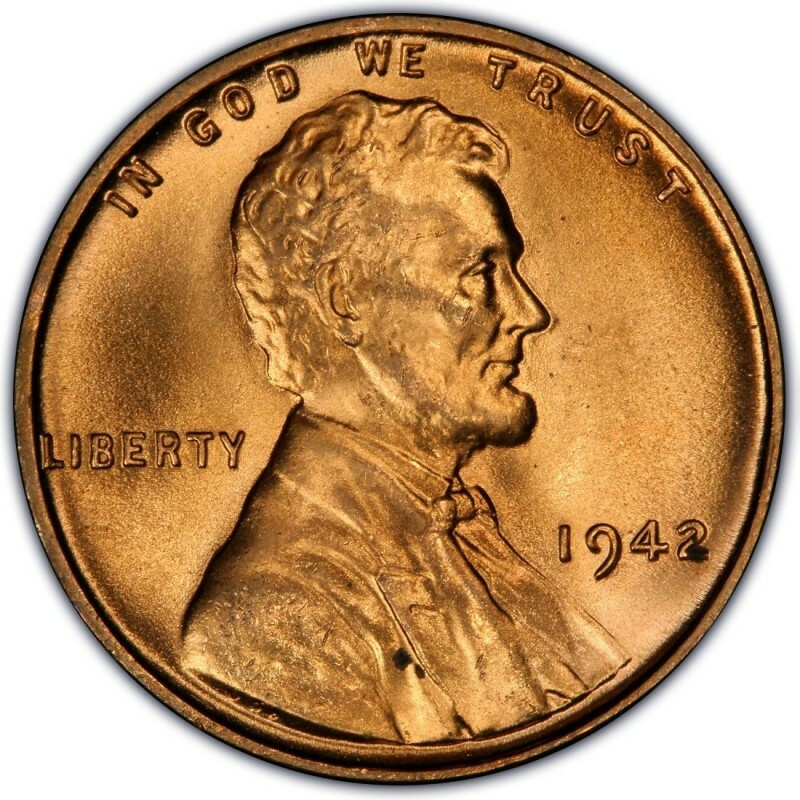 In fact, many 1942 Pennies are still circulating, so if you are inclined to assemble a collection of Lincoln cents from the 1940s (and 1950s, for that matter), searching pocket change and bank rolls may lend you the examples you want. 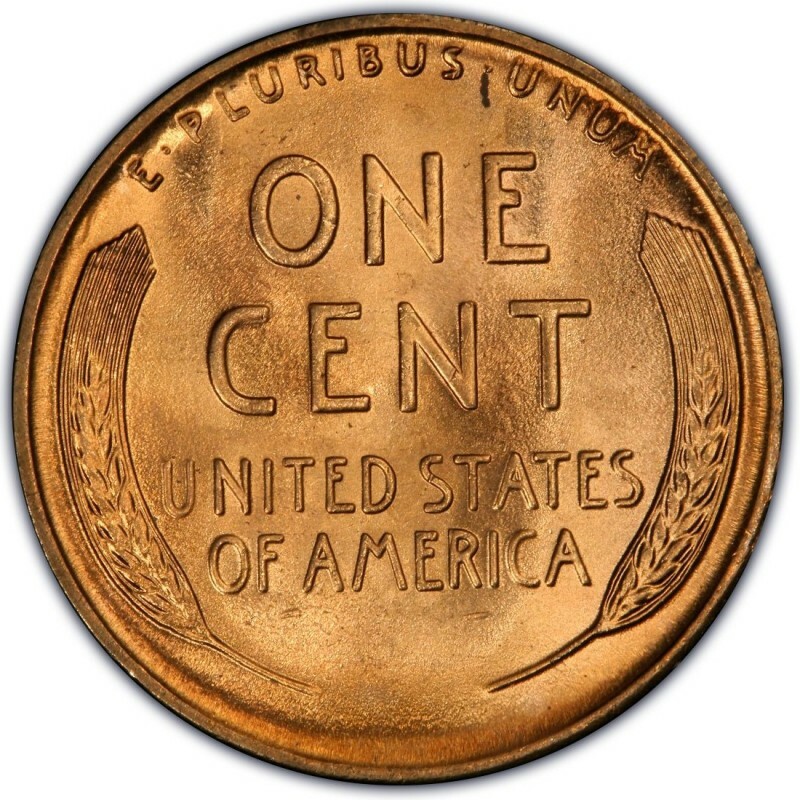 If you would rather just buy your 1942 Pennies, you will find them for less than 20 cents each in just about any circulated grade you want, and for under $5 in uncirculated grades. The only other major variety of 1942 Penny that for collectors to go after is the proof coin from that year, and with 32,600 originally struck for inclusion in proof sets, there are normally enough on the market to satisfy demand. You should be able to find an example in Proof 63 for around $75. How much is a silver 1942 wheat penny worth? I can't seem to find the silver one mentioned. There was no silver, or steel, penny made in 1942. You either have a Mercury silver dime planchet that was accidentally struck by a Lincoln cent die or a regular copper 1942 cent that was plated in zinc, steel, silver, or another silvery metal by someone outside the Mint. The former is extremely rare and worth $750 to $1,000 or up and the latter is much more common and worth just two cents for the coin's intrinsic metal value. If you would like to post a photo of your coin, I'd be happy to help determine what you have. We tested the penny to a magnet and it doesn't stick to it. We also compared it to a dime and it is a hair bigger than the dime. How can I post the picture. Or do u have an email you want me to send it to? Based on the thorough information you provided (thank you! ), you have a plated 1942 cent that is worth two cents for its intrinsic copper value. Hi: I have a 1942 D Penny. Is it worth anything? How do I send a pic? A well-circulated 1942-D Lincoln cent is worth about 5 to 10 cents and is considered a collectible coin. You can upload images using the upload icon at the bottom of the comment form. A 1942 Lincoln cent in average circulated condition is worth 5 to 10 cents. I have a 1942D that a magnet does stick to ??? May we see a photo of this coin, please? What does it weigh? Hi, I have a 1942 wheat penny, no d,a or p on it. Your 1942 Lincoln wheat cent was made at the Philadelphia Mint; back then, the Philadelphia Mint was not stamping a mintmark on one-cent coins. Your piece, presuming it's probably worn from circulation, is worth 3 to 5 cents. I have a penny collection from when I was a kid (about 30-35 years ago) and I have three pennies with rainbow coloring. 1942, 1942-D, and 1942-S. Any value to those? You should see at the bottom left of the comment field a small, upward-facing arrow that appears to be underlined. Clicking that allows you to upload images. Please let us know if you have any issue in getting that to work on your computer. I can tell you that the minimal value for the coins you listed is 3 to 5 cents each, and hopefully the rainbow toning is due to natural aging and not the recoloring from past cleanings. Photos should help us further -- Fingers crossed! I have a 1942 penny that sticks to a magnet. What is it worth? How much does your 1942 cent weigh? May we see a photo of your coin, please? Would you please post a photo of this coin so I can help determine what's going on with it? ok. I'm not sure how to do that but I have a 1942 no mint appears to be an error or severely damaged obverse side coin. Hello I just wanted to know if I could email someone pics of various coins that I have, with hopes that you could help me understand if these coins are of any value. In particular I have a 1942 wheat penny without a mint mark that appears to be either an error or severely damaged coin. The flaws or damage is mostly on the obverse side of coin and along the rim. The "4" in 1942 appears to have an distinct overlapping in certain areas. Could you please send me an email address so I can send pics from another phone as my cell phone camera is not able to capture any significant pics that are clear enough to see. You can upload photos of your coin here in the comments section, and from viewing the photos we should be able to help you further. What I have is a 1942 copper, wheat Lincoln penny, with a "S" mint strike. My question is, what is it worth? A circulate 1942-S Lincoln cent is worth about 5 to 10 cents. We do not allow uploading images in the comments area. You can upload pictures by creating a post in the forum. I found a 1942 wheat penny with no D on it, is it worth anything?? ?